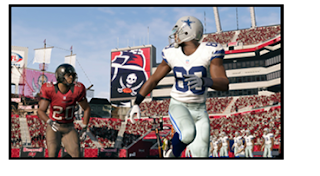 Whenever the Wii U hits retail, and we still really don't know when that might be, both Madden NFL 13 and FIFA Soccer 13 will be coming along with it. 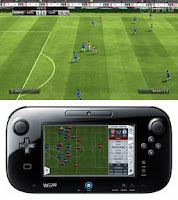 Both titles are promising new ways to play with tailored experiences specifically designed for the Wii U. In development at EA Canada, FIFA Soccer 13 features three new ways to play that bring players of all abilities together. Families can play together in Co-op Mode, where one player manages and up to four others play. Team Management Control features interactive radar to send players on supporting runs, attacking or defensive, and touch screen control to change tactics, formations or subs on the fly. Experience the thrill of managing your favorite football club in Manage Match, directing players from the sidelines and even giving half-time talks. View a statistical analysis of the match and any player at any time, enabling you to make informed decisions. Plus, connect and interact with friends like no other FIFA title. See your friends online and invite them to play, or message them in real time using touch screen typing. FIFA Soccer 13 features innovations utilizing the Wii U GamePad™ that immerse players in the action on the pitch. Gamers can lift and look through the GamePad touch screen to aim the ball on set pieces and penalty kicks, then put the perfect curve on a shot and let it fly. Shake the GamePad to activate Touch Screen Shooting, removing the element of ‘hit and hope’, and allowing for pinpoint accuracy. Just when we might be seeing these titles at retail is, again, kinda up in the air. I assume these will both be launch games though, since both are branded with the 2013 edition of their respective franchises. So... Novemberish?